Shock The Monk: Skafish Debut In Remastering Stages! I had spoken a few years back that after buying my copy of the debut Skafish album in Wax ‘N Facts in 2011, that I needed to remaster it into a REVO edition [along with album #2, “Conversation”]. 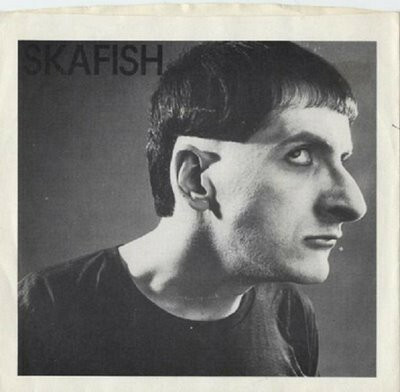 But a lot of rivers have passed under that bridge, and when thoughts turned to future projects turned to occupy my scant free time, the two Skafish albums were likely contenders. Specifically, because I thought that there were no rarities to also buy on singles to make the “complete” CD that you know is always in my sights. 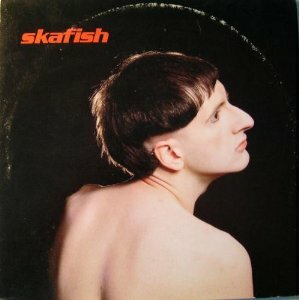 So I looked at Skafish.com to make sure that this was still necessary only to find that the artist has reclaimed this title as his own following 35 years of indifference from the former I.R.S. Records. Of course, getting his hands on the master tapes is not going to happen without a huge [litigious] melee, so Jim Skafish is taking the path of least resistance and has two sealed copied of this puppy that his mastering engineer, Trevor Sadler, has used as the source materials. Mr. Skafish reports that progress on the issue is going swimmingly and one hopes that the long-awaited reissue of this title may find a home in your own Record Cell/hard drive in the not distant future. When this happens, I will report back with my findings. By the way, my assumption was wrong! There is a non-LP B-side associated with this record. So maybe I’ll have to add this to the REVO edition of “Conversation” [though non-canonical] because I gather the likelihood of this track gracing the new edition would be slim. And “Conversation” had no rarities associated with it, right? If otherwise, let me hear about it in the comments. This entry was posted in Remastering, Want List and tagged 1980, DLX RM, Skafish. Bookmark the permalink.